Do you believe you’re not worthy? Not enough? That you’ll fail no matter what. That there’s no point in even trying because this is who you are? (Insert whatever limiting belief you can come up with here). After years of being ”me,” I held the belief ”This is who I am.” Now you might be thinking ”ok, did I miss something here? Because who would she be otherwise?”. Good point. Who would I be if I’m not who I am? I believed who I was for such a long time. Like an echo, I heard ”this is who you are.” It kept replaying over and over again, and I felt stuck. Ugh. If this is who I am, then I don’t wanna be me. But there I was. Me. Myself and I. I felt I had an obligation to be this person. What would people say if I wasn’t me anymore? Every morning I’d put on my success suit and stare at myself in the mirror. A mix of dread and hopelessness would emerge. Eventually, I’d get over myself and get going with life and all its duties. I must confess that it was not horrible to be me. It was not dramatic in any sense. More of a quiet discomfort. A feeling of disconnect and out of alignment. Stuck. This is who I am. This is who I’ll always be. (Ok, maybe a little panic if I’m gonna be honest). If you’ve ever read any self-help book of any kind, you know that ”limiting beliefs” is the biggest topic in all of them. Yeah, you have limiting beliefs you need to clear. I read them all. No clearing happened. Still little old me. Still stuck. How does someone like me get unstuck? How on earth do you let go of limiting beliefs? I felt my beliefs were glued to my inner self with super glue and shedding them was mission impossible. 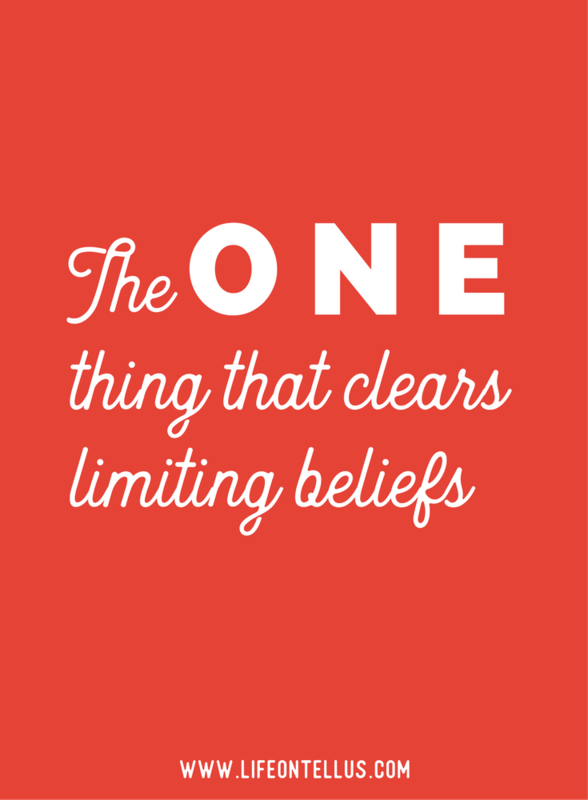 Then one day I found the key to clearing limiting beliefs. And let this part be a total anti-climax because it was an uneventful event and a simple feeling of ”oh, really? This is it?”. Yeah. This is it. By being aware of them. Simply noticing the beliefs. Yeah. Told ya. Anti-climax. When feelings of dread would show up, I’d notice it. Check. Then I would listen for the thought behind. Usually, it would be something in the line of ”I can’t do this. I’ll fail. I AM a failure”. No original limiting belief there, I know. And that was that. ”Oh.” Then I’d move on with my life. Let me be clear here. This simple little act. The act of having an awareness that it was a limiting belief was enough. THAT WAS ENOUGH. Do you get that? All the years walking around being ”me”? Not necessary any longer. Suddenly I was being reborn in every moment. I could reinvent myself whenever and however I wanted. Who was I then? If I didn’t walk around being me any longer. The answer to that is ”Who cares?”. Really. Who gives a crap? I don’t, I realized. The concept of finding myself felt foreign and off. I never ever wanted to find myself again. Yikes. All I wanted was to be a nobody. Being nobody meant being fully free to BE. Be whatever I needed to be on a moment to moment basis. Whatever I wanted to be. Whatever occurred to me. Whatever I needed to be. Rising to the occasion and all that. Thank you and goodbye old self.